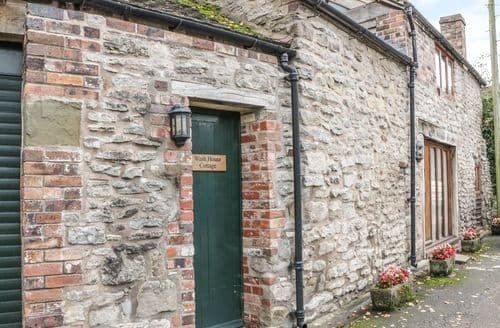 What our customers are saying about our Holiday Cottages In Much Wenlock To Rent. 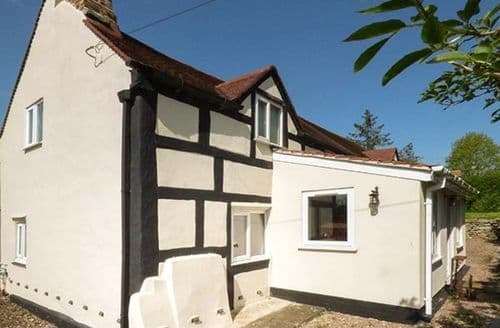 "A lovely welcoming cottage for four adults and two dogs. Fresh flowers, brownies and dog biscuits on arrival, and plenty parking for two cars. 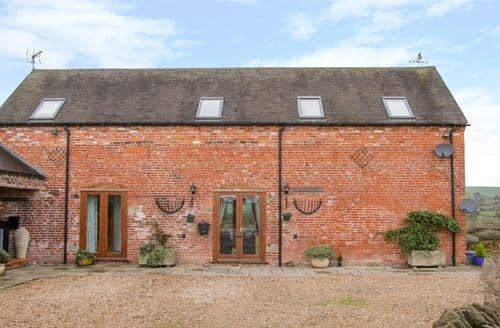 Anyone over 6ft tall might struggle with headroom in the shower, but other than that, a real home-from-home in a beautiful part of the country. 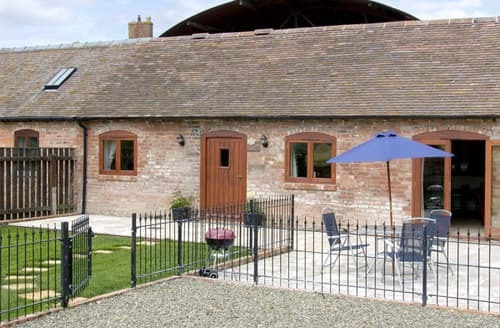 The cottage was very well equipped, with good quality facilities and utensils. Everywhere was spotless and comfortable, perfect for a relaxing weekend. George and Dragon became our new local, and The Fox served up a superb (and large) Sunday lunch for us meat-eaters and our vegetarian friends, nothing was too much trouble. Went to Tea Junction tea shop on our last day, not only dog friendly, but tasty food, friendly staff and good value for money (as was everywhere else). Much Wenlock is a traditional village, with lots of independent shops (closed on Sunday) but with a very good Spar and Nisa shop at the Shell garage. Hats off to the pharmacy who came up trumps when my husband realised he'd forgotten his meds, totally above and beyond. Our only regret was we didn't stay longer." 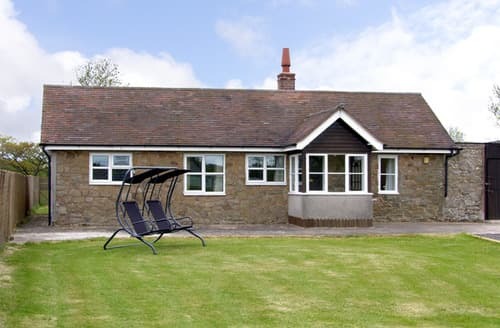 "It was a delightful bungalow, very comfortable and superbly provided with equipment. The view is stunning. Our only difficulties were that because I am slightly disabled it would have been very good to have a grab rail for the bath and also a mat on the bottom of the bath to prevent slipping. We also found the patio door a bit of a puzzle! I said exceeded expectations - actually - having used Sykes before I have found their standards are very high and have come to expect them. We appreciated all the help, reminders and advice we received. It made our holiday so stress free. Thank you Sykes staff. The Rudmans **** Response*** Thank you for your feed back. The Owner has taken this on board and has now installed a grab rail and supplied a non-slip mat for the bath." "The view is stunning. Our only difficulties were that because I am slightly disabled it would have been very good to have a grab rail for the bath and also a mat on the bottom of the bath to prevent slipping. We also found the patio door a bit of a puzzle! I said exceeded expectations - actually - having used Sykes before I have found their standards are very high and have come to expect them. We appreciated all the help, reminders and advice we received. It made our holiday so stress free. Thank you Sykes staff. The Rudmans **** Response*** Thank you for your feed back. 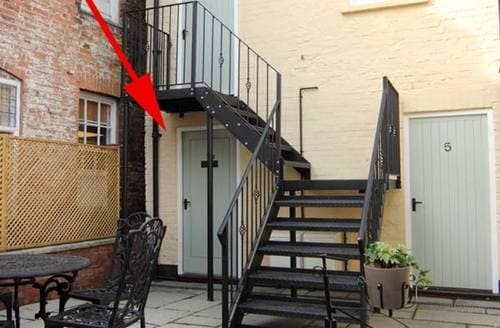 The Owner has taken this on board and has now installed a grab rail and supplied a non-slip mat for the bath." "Rooster cottage and the owners are simply the best. Why. Because nothing is too much trouble for them. Not only do the welcome us with fresh baked delicious chocolate brownies, fresh milk and coffee. But when we arrived early during a snowstorm they welcomed us in and went out of their way to ensure we had everything we needed. 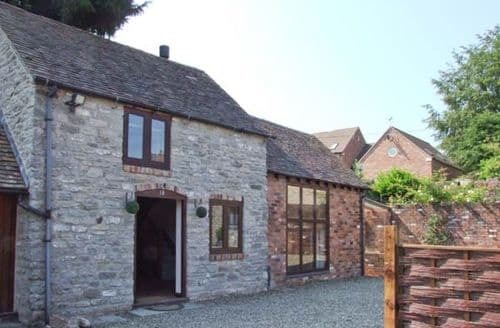 Everything about this property is perfect and the town of Much Wenlock and the people are brilliant so friendly and welcoming. This was our second visit and will certainly not be our last. 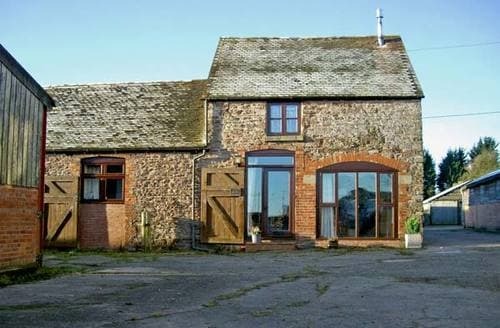 We will have more competition booking this lovely property as we have praised it to so many friends and family. 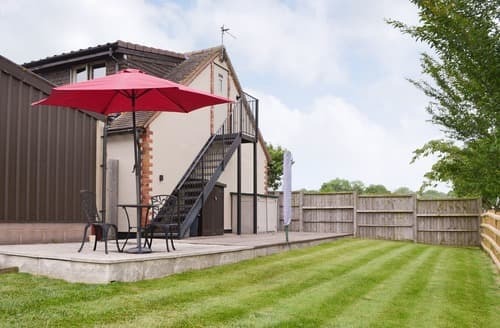 Thank you to sykes cottages and Simon and Barbara"
"A very comfortable, clean bungalow with all the facilities and equipment you need for a relaxing holiday. The garden was lovely to sit out in and had a nice view of the hills. 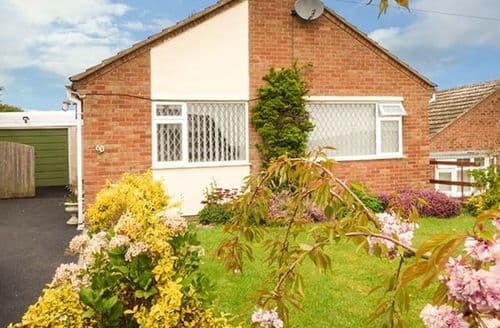 There was plenty of parking on the drive, and although the bungalow was on a slight hill, it was a short walk into the village or you could use the car parks there. 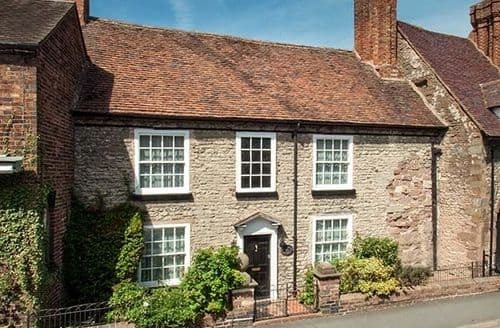 Much Wenlock is a really charming place. 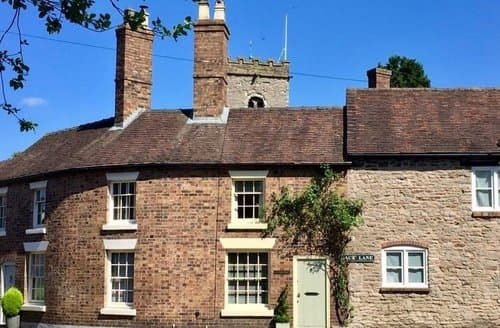 There are many walks nearby, (the staff at the tourist information are extremely helpful) and it is a short distance to Bridgnorth, Shrewsbury, Ironbridge and Ludlow. You can get local buses to some of these places. Would highly recommend this accommodation and area!"